MD 600N is a light utility civilian helicopter. 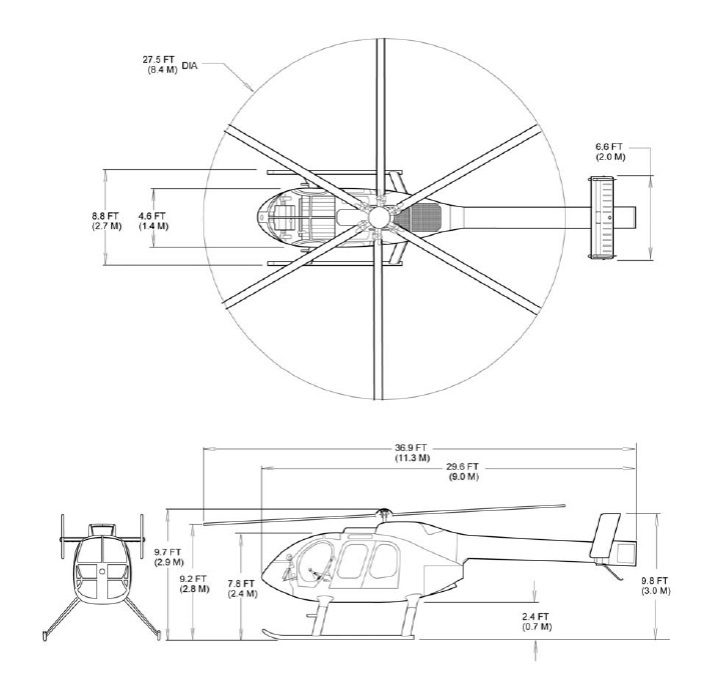 It is a stretched eight-seat development of the five-seat MD520N helicopter. McDonnell Douglas stretched the MD 520N fuselage by inserting a plug aft of the cockpit/cabin bulkhead and stretching the NOTAR tail boom. The larger fuselage allows for an extra (middle) row of seats. Other differences compared with the MD 520N include a new six blade main rotor (the MD 520N has a five blade unit).